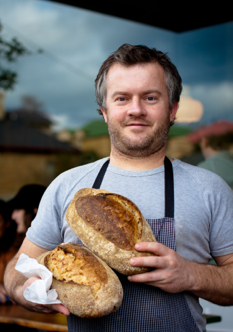 Delve into the world of wild fermentation and take your bread-baking to the next level with the Founder of Pigeon Whole Bakers, Jay Patey. 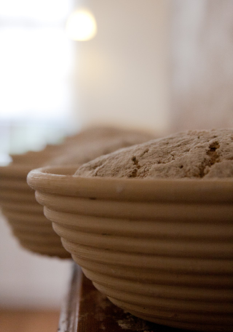 As we spend two days exploring bread baking in its primal form, learning how to create and cultivate wild yeasts in the form of a starter and then taking flour, water and salt to create flavoursome loaves of bread that nourish and sustained ancient cultures. We will also look closely at how to maintain and store your starter as well as a few other uses including pancakes and Jay’s doughnuts, which are quickly developing a cult following. Jay’s passion for using some other ancient grains such as spelt, rye and buckwheat in bread and malted grain flours will also mean the two days of baking will be a learning experience for both new and old bakers. 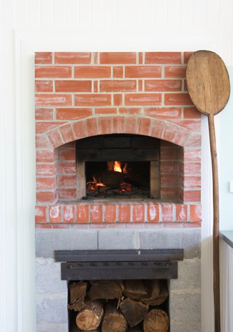 We will be utilising our own fully-fired Alan Scott wood-fired brick oven as well as our electric ovens to ensure our participants feel comfortable recreating the bread at home. Sourdough is the ultimate slow food, not something that can be taught in a few hours, therefore running this class over two days means that guests will have a hands-on experience of each step of the process in its entirety. Guests will also take home a large selection of bread home with them.